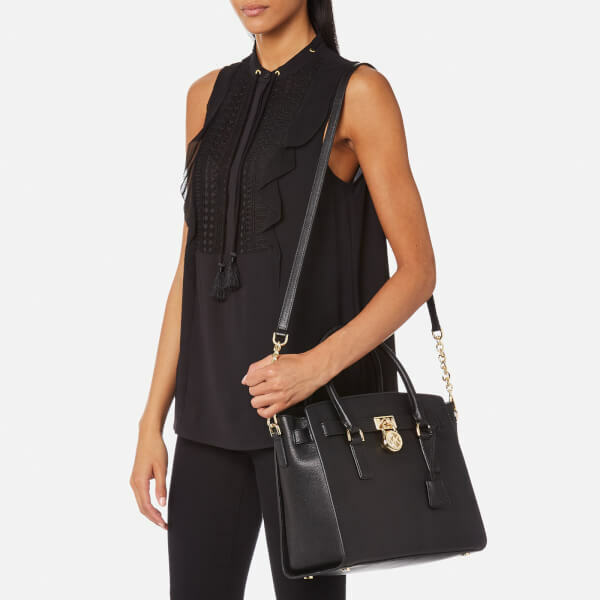 The ‘Hamilton’ leather satchel is part of the MICHAEL MICHAEL KORS East West collection. 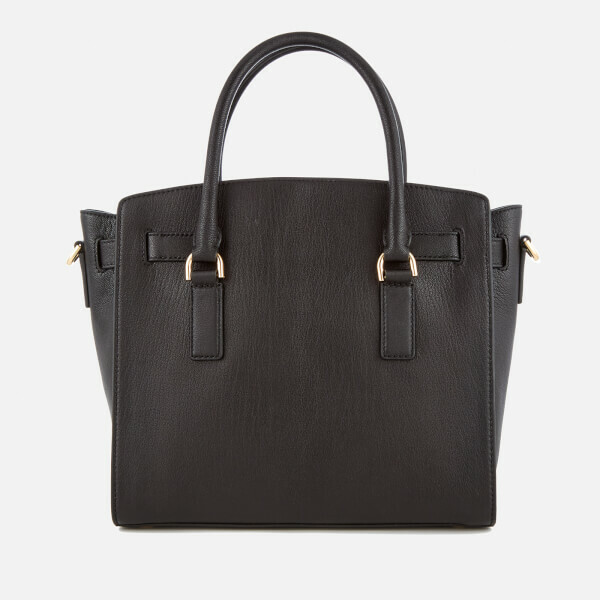 Crafted from a textured leather, the winged tote bag forms a classic structure with dual grab handles and a zip top closure. Within, the fully lined interior offers a zip pocket, slip pouch and tonal key clasp. Accented with gold-toned metal hardware throughout, including an ‘MK’ embossed padlock detail to the front. Finished with an adjustable, detachable shoulder strap with chain link. Dimensions: H: 27cm x W: 36cm x D: 15cm. Handle Drop: 11cm.